Virginia is rich in natural beauty, historic significance and interesting attractions! Shenandoah National Park and George Washington National Forest offer many recreational opportunities from including hiking, mountain biking, riding, paddling, canoeing, kayaking, swimming, and more! The Rapidan River, just across the road from Freedom Fields, offers many of the same water activities during rain seasons. During the winter, skiing, snowboarding and tubing are available at Massanutten and Wintergreen. If you are open to driving a few hours, visit Natural Bridge and the Luray Caverns. After marveling at the formations, get lost in the one acre Garden Maze on the grounds. Locally, between Fredericksburg and Charlottesville, Battlefields on the Civil War tour route are close by. As is Montpelier, James Madison's family home, and Monticello, where Thomas Jefferson spent his retirement. Looking for a day trip? Head into our nation's capital to wander the National Mall, visit the war memorials, tour the many museums, or catch a show. Arlington Cemetery is always an important destination to visit as well. 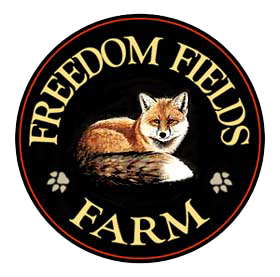 Freedom Fields Farm is only 15 minutes from Commonwealth Park, one of the most important venues on the H.I.T.S circuit. There are several Virginia Fox Hunting Clubs close by, that are happy to have visiting riders participate at meets throughout the season. There are also great restaurants and shops in nearby Culpeper and Orange! For some of the tastiest restaurants we recommend, Thai Culpeper, It’s About Thyme (French), Lucio (Italian), Taste of India, Foti’s (American), Copper Fish, Beer Hound Brewery and Far Gohn Brewery in Culpeper. Then there are The Light Well (Breakfast and Brunch), and Silk Mill Grille (American food) in Orange. Interesting gift shops include the Cameleer, Pepperberries, Harriet's General, Green Roost, and Vinosity. Of course a variety of other restaurants, shops and stores are available in Fredericksburg, Charlottesville, and especially Washington D.C. Your hosts will be happy to give you more recommendations and suggestions depending on your interests.